Before we get to the list, you should always remember that there can be dozens of factors which affects our hair growth. It can be due to our lifestyle, genes, habits, chemicals found in the environment, and a whole lot more. So, depending on what applies to you, trying more than one approach is perfectly okay. We know it does sound cliché when we tell you to start eating healthy. Be that as it may, we cannot argue that it is and will always be the truth. The saying, “you are what you eat” is essentially on point. Eating vegetables and fruits rich in Vitamin B-9 or commonly known as folic acid is a main contributory factor for a pigmented strand. Dark leafy greens such as broccoli, spinach, avocados, and Brussel sprouts are only some of the options for you to get started. You can also opt for Catalase-rich food like kale, cucumbers, radishes, and celery. Catalase is the hardworking enzyme found in our hair follicles responsible for giving our hair its color upon growing out of our scalp. So, eating food rich in it will definitely help in maintaining that precious hair pigment. Our busy lifestyle hinders us from allotting a sufficient amount of time to exercise. Well, that is aside from our everyday excuses to set it aside for tomorrow, until that tomorrow turns in to a full whole year. But if you really want to prevent those premature gray hairs to make itself appear at a much earlier time, you might want to start those exercises now. Exercising improves blood circulation that stimulates growth in hair follicles. But do not over exercise. Since it may do more harm than good, just make sure to regulate your routine to your own body capacity and limit. A good regular 15 – 30 minutes a day is more than enough. That is as direct as we can get for you to drop the cigarette if you still want to have those pigment-rich head of hair. This may not come as a shock to you but smoking does not only affect your lungs –to say the least- but studies suggest a direct link to premature graying. In research conducted, people who smoke showed an increase in apparent biological age over chronological age. It indicates that people who smoke have characteristic facial changes similar to those seen in premature aging. This tells us that not only is smoking affecting your internal organs but it also makes us look and feel older. In relation to the aforementioned, smoking causes our hair to become dull and brittle. It damages the hair and follicles resulting to a weak scalp which can be prone to a lot of damages such as but not limited to hair falls and premature graying. Amla Oil Mask – Boil 3-4 Dried Indian Gooseberries (Amla) with coconut oil in a pan to produce the oil solution. Pour the mixture in a container for storage since the entire solution can last for many uses. You only need to massage about 2 tablespoons of the oil into your scalp for 15 minutes and leave it on overnight. The next day, wash it off with any mild, sulfate-free shampoos then finish it off with a conditioner. Egg Oil Mask – In a small bowl, whisk together 2 – 3 medium sized egg, you can add more depending on your hair length. The longer your hair, the more egg whisk. Massage the mixture into your scalp at least twice a week and leave them overnight. Make sure to put a plastic sheet to cover your bed to avoid all the mess. The egg oil contains anti-oxidant xanthophylls like lutein that help prevent premature graying. Black Tea Mask –boil and brew black tea in a cup of water and set aside to cool. Before applying into your hair and scalp, strain the black tea leaves of the liquid. Massage it into the scalp and let it stay for good one hour before rinsing it with mild sulfate-free shampoo and conditioner. Hair reversal as a myth is a thing of the past. Yes, it is here. The time machine of bringing back your hair color is officially on Earth. All of the ways to prevent hair graying are great but it may take a little while to show results. 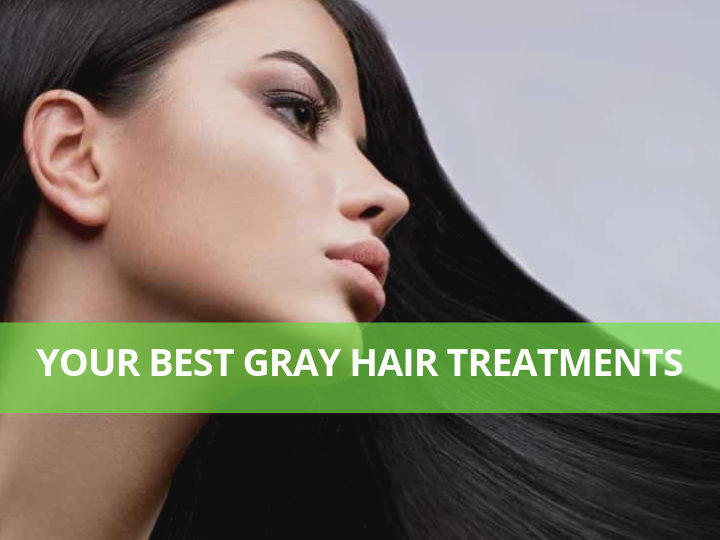 But hair reversal can show you its magic for as early as 10 – 14 days only. And no, it’s not just another hair dye. It is your natural hair color, here to stay. Unlike hair coloring which forces chemicals and color into the hair which cause irreparable damage –at times- hair reversal, on the other hand, replicates our body’s natural process of hair color production doing no damage whatsoever to how our body functions. How our hair gets color? Once our hair grows out of our hair follicles, it is immediately stripped off of oxygen. Why? Because of Melanin’s composition. Melanin is the enzyme responsible for giving our hair its pigment. Melanin is produced with oxygen, and oxidized hair strands appear clear or white. So if it grows out without removing the oxygen, it turns out to be what we call as the “gray hair”. If Melanin is oxidized, how is it stripped off of oxygen? This is where Catalase comes in. Catalase is produced in the scalp that acts as the filter of the oxidized hair. When it removes the oxygen accompanying melanin, that is where the hair pigment shows. This is simple, it acts like the lost Catalase. You see as age, genes, poor lifestyle habits, and/or other factors make it hard to prevent or maintain our lovely natural hair color, it is but inevitable. But nature gave us the remedy to make the inevitable finally reversible! The experts at Reparex found a way to develop a product that does not harm or counter our body’s natural healing process of returning back our healthy and natural hair color. You can now shake those worries away. Reparex acting as a catalase, makes nothing unnatural and harmful to your scalp hence, expect no side effects and is completely safe. Unlike all of those tedious and grueling works or regimes, using Reparex is as easy as applying for leave on creams or conditioner. No messy processes or complicated applications. You just apply it with the applicator, follow the instructions and see the color back to life in not more than 2 weeks. Try it now and see it for yourself. Believe us, it’s one of the best decision you will make.